We’ve gathered up our most popular soups and bowls in one post to make your life easy. Whenever you’re craving soup or a good bowl of veggies, we’ve got you covered. 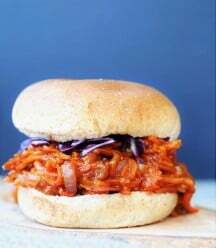 And, many of these recipes would be a great addition to your Super Bowl Sunday party. Do you love making a big pot of soup or chili on a Sunday? Or maybe you’re more of a veggie bowl kind of person? Truth be told, we flip-flop between the two, it all depends on the weather, what’s going on that day, or what kind of mood we’re in. 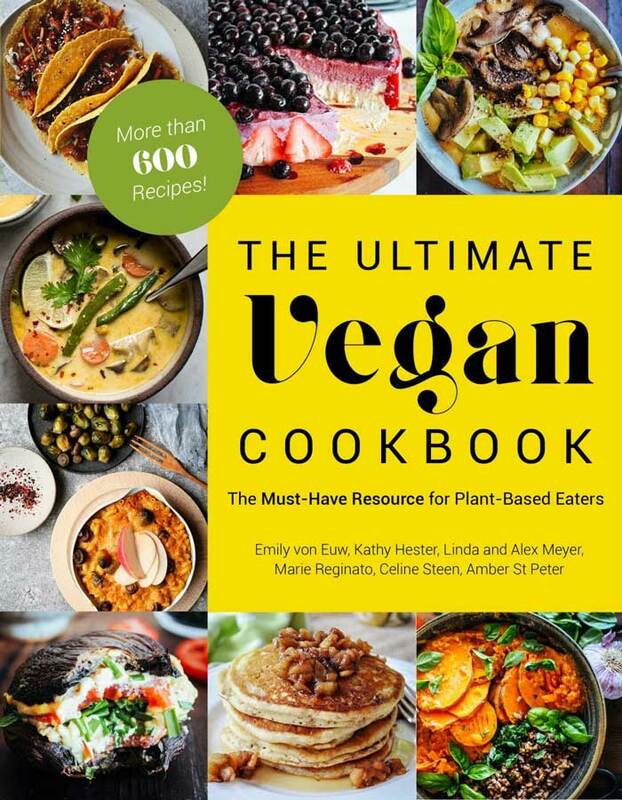 Regardless of whether or not you’re in the mood for a hot vegan soup or a roasted vegetable Buddha bowl, this collection will help you figure out exactly what to make for dinner. 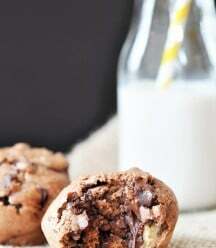 And of course, it doesn’t have to be Sunday, you can make these any day of the week. 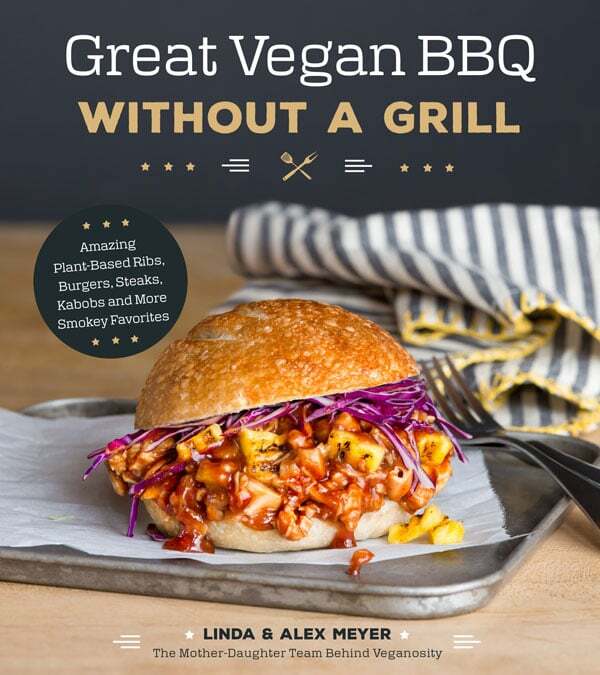 This is for all of the vegan curious readers who are visiting us today. 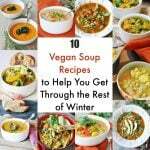 If you’re a seasoned vegan, move along…..
Vegan soup is made from plants. The broth is made from vegetable stock, mushrooms, tomatoes, or any other plant you can turn into a tasty broth. 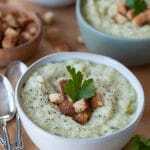 A creamy soup is usually made with cashew cream, or any plant-based cream or milk. 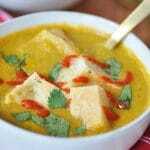 You can also use pureed potatoes or beans to thicken a soup. Once you’ve made the base/broth, you can fill it with any vegetable or grain that you like. And that our friends, is vegan soup. Nothing weird or scary, just delicious plants in one yummy bowl. Soup is such a great choice when you’re feeding a large group of people. You can make a huge pot and serve it with warm loaf of bread or our incredible vegan cornbread, and a simple dessert, like our vegan oatmeal raisin cookies. Here are the best soup recipes for the Super Bowl, from our home to yours. 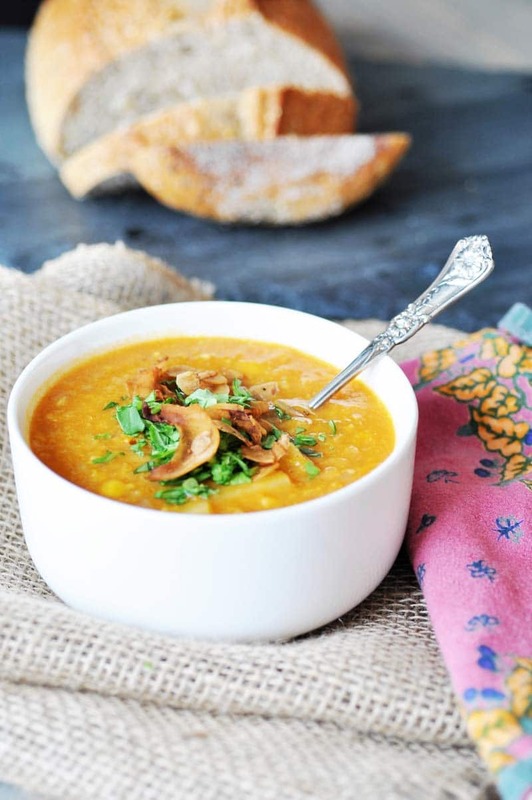 This soup quickly became a reader favorite. 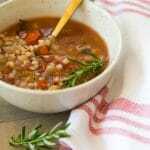 It’s made with fresh rosemary and lemon and filled with vegetables, garbanzo beans, and love. Finely chopped cauliflower gives this chili it’s meaty texture. 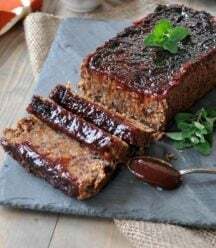 It’s spiced to perfection and so satisfying that even meat eaters love it! 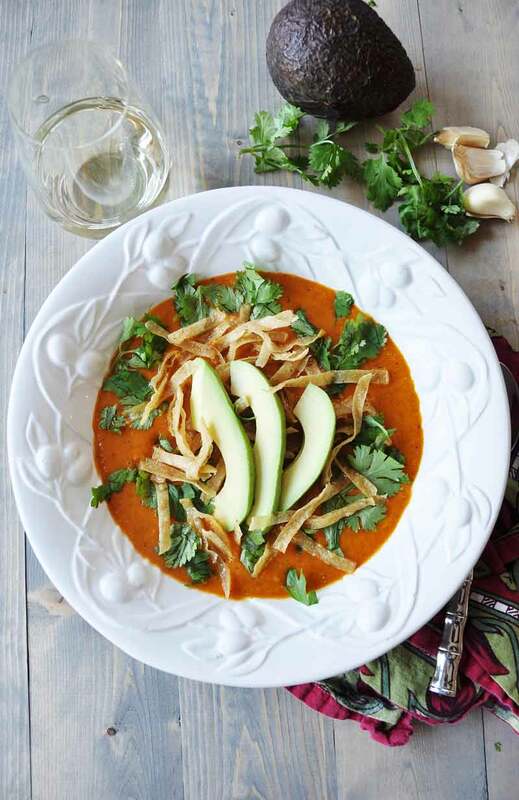 This vegan tortilla soup will warm you up on the coldest winter day. 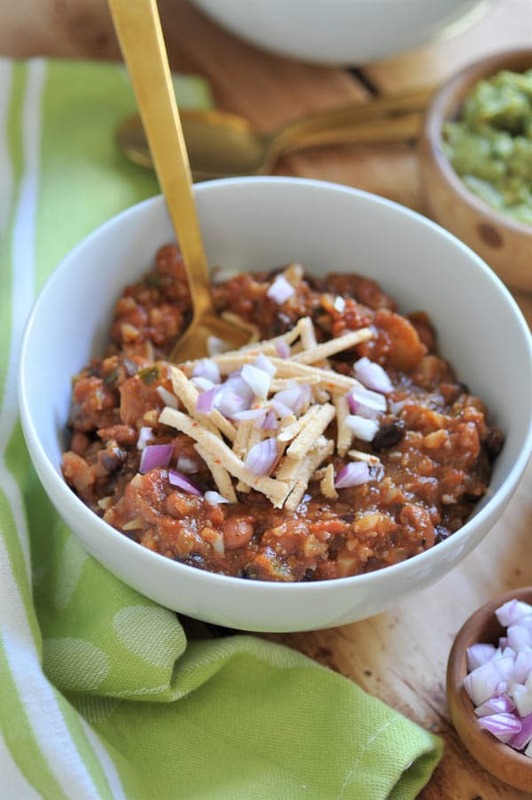 It’s spiced to perfection and so good with a bowl of guacamole on the side. 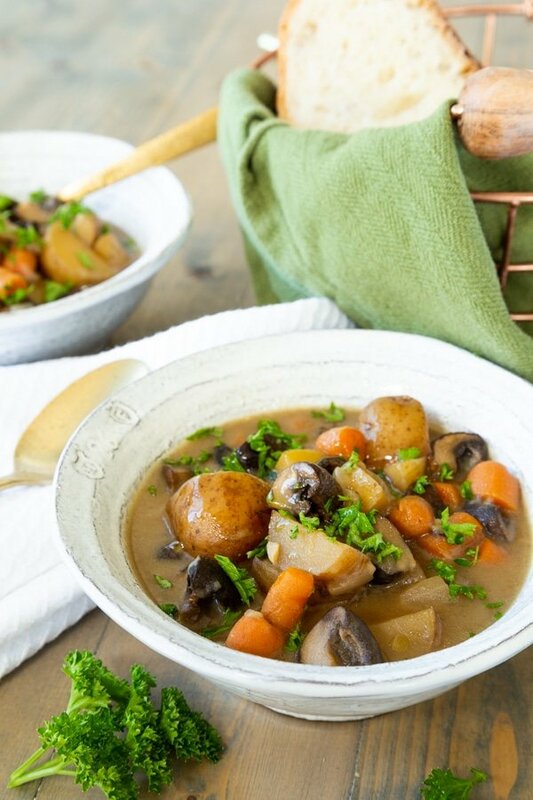 Mushrooms are the best meat substitute and they don’t disappoint in this hearty and flavorful winter vegetable stew. Made with fresh herbs, carrots, potatoes, and a buttery roux, our vegan stew is sure to be a hit at any party. Creamy, chunky, smoky, delicious, satisfying…… You get the picture. 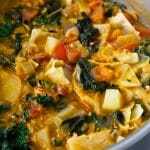 This vegan chowder has it all and then some. 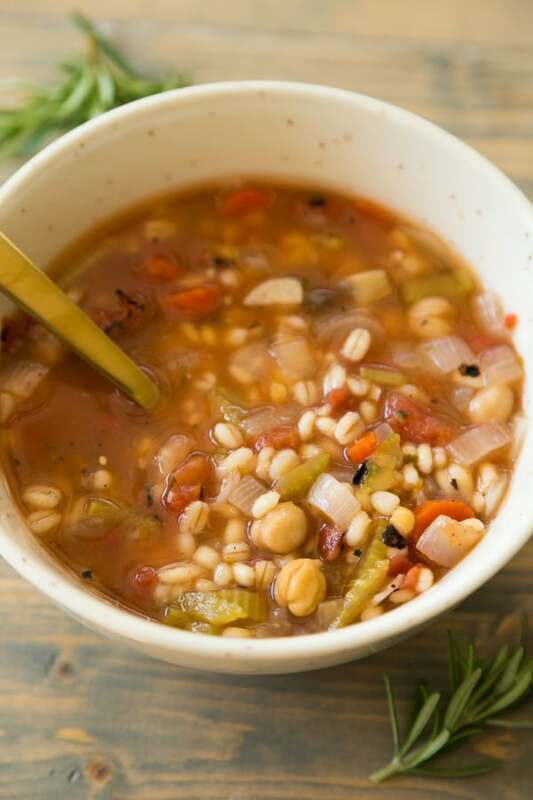 It’s one of our favorite easy to make soup recipes and we’re sure it will become yours, too. 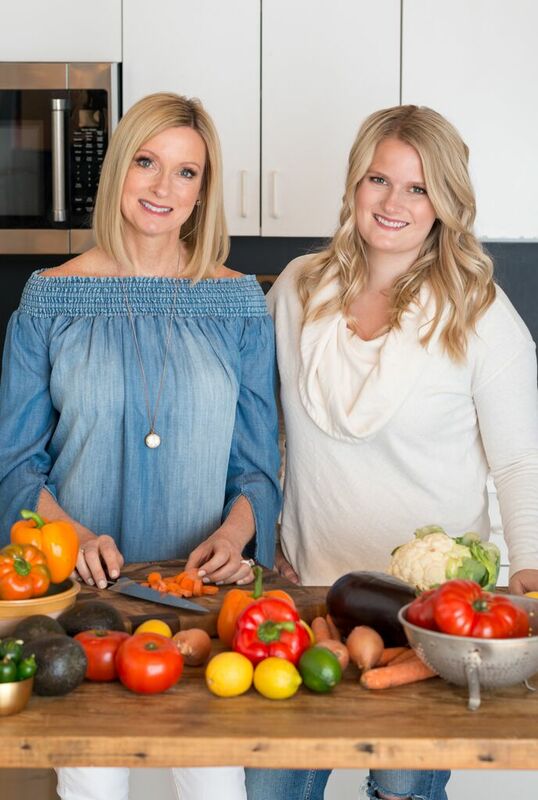 We’re all about vegan vegetable bowls. They’re easy to eat and filled with healthy (mostly) foods to nourish your body and satisfy your soul. 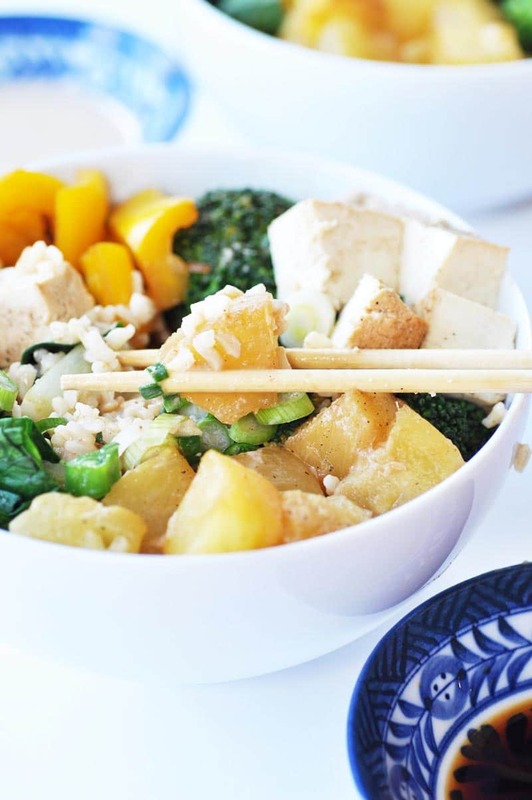 Feel free to substitute your favorite ingredients in any one of these veggie loaded bowls. 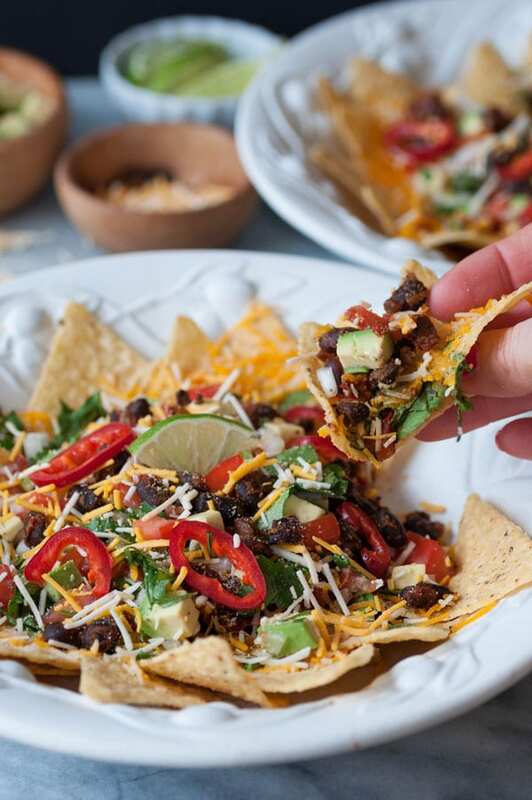 We’ve taken the meat and grease out of nachos, downsized the recipe for two, and put them in their own individual bowls so you each get the same amount. 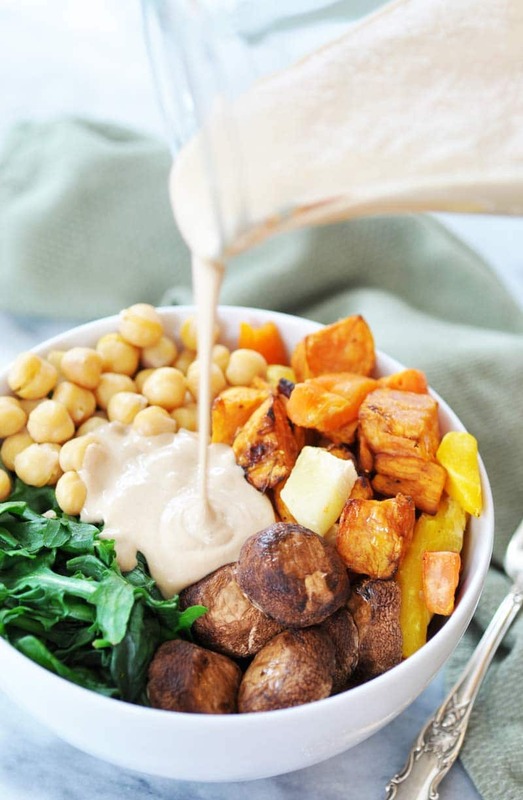 We took the healthiest root vegetables, like sweet potatoes, carrots, and parsnips, then added mushrooms and garbanzo beans and a wickedly delicious roasted garlic and tahini dressing, tossed them together in a bowl, and made magic. 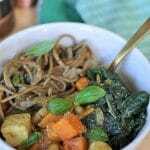 This vegan Buddha bowl is filled with so many vitamins and nutrients, and it tastes amazing. Who said healthy wasn’t delicious? 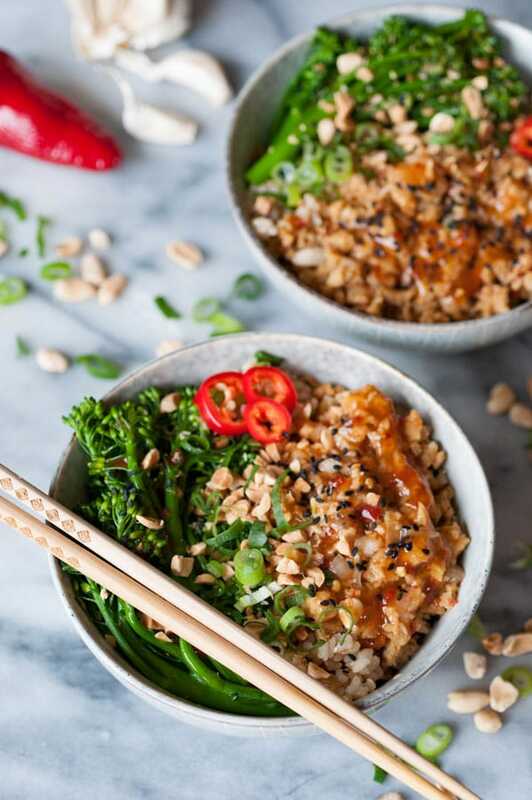 If you love Asian flavors and the combination of sweet and sour, this brown rice and vegetable bowl with pineapple is perfect for you. To say that we love Southern food would be an understatement. The smoky, savory, buttery flavors are everything to us. 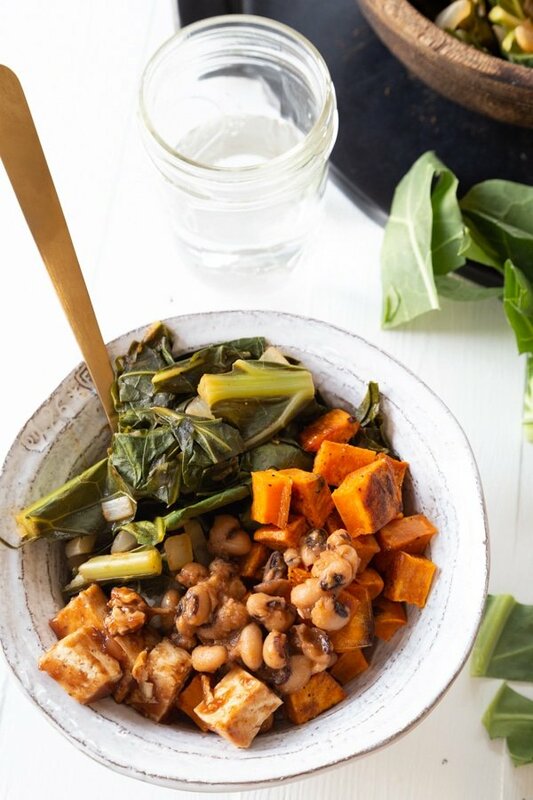 Thankfully, we’ve figured out a way to make our favorite greens, sweet potatoes, and black-eyed peas healthier than ever. And, the flavors are incredible! If you like spicy food with a hint of orange, this is for you. We took chili sauce, fresh ginger, orange extract, and more to create these incredibly flavorful seitan chicken bowls. They’ve become one of our favorite bowls, and they’re good any time of the year. Subscribe to get your FREE kit and 8 Day Meal Plan Today! Spam isn’t for vegans, and we’ll never send it. Unsubscribe at any time. 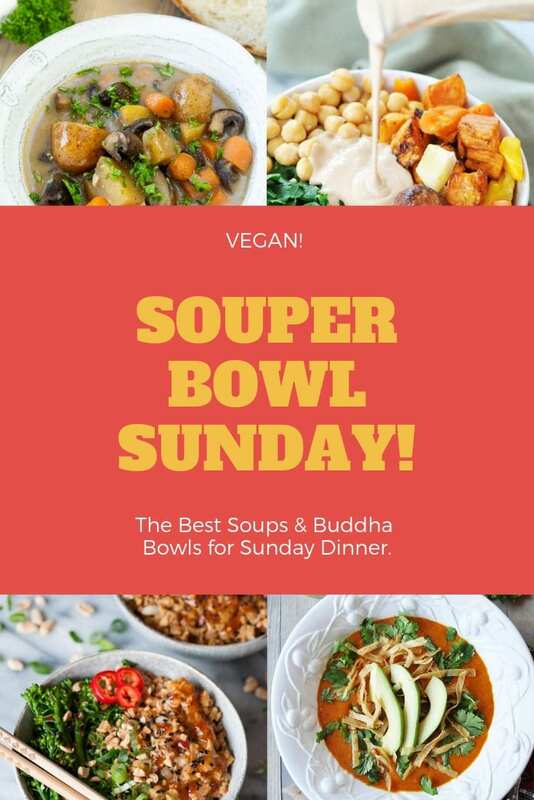 We hope you enjoy our soup and Buddha bowl roundup and come back to let us know what you think. Don’t forget to take a picture and tag us @veganosity on Instagram so we can see your gorgeous creations! The above links are affiliate links. Any Amazon purchases made through these links help support at no additional cost to you. 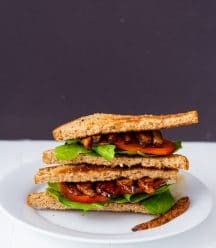 Great recipe round up, thanks! The Superbowl can be tricky with so many unhealthy snacks around and so much time to sit around and eat, much better having healthier options like these.